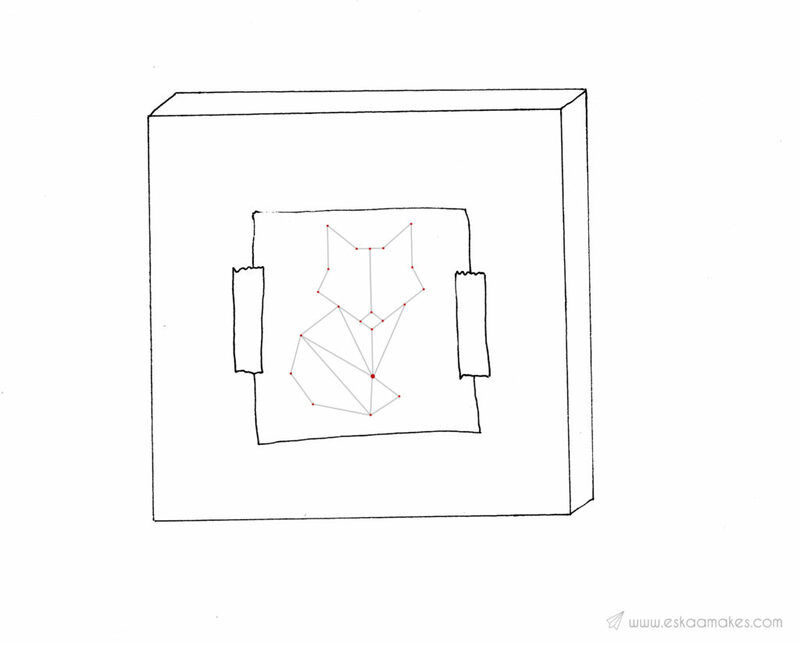 Quite a while ago I started to be fascinated by illustrated animals composed of geometric shapes. You’ve probably seen them, they are still all over Pinterest. 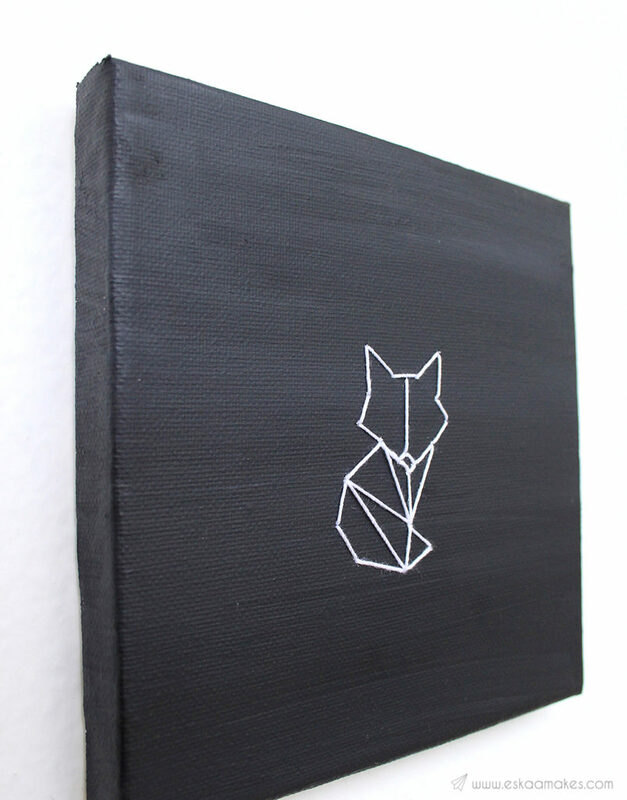 You can also see my first attempt of a geometric animal, named “Carli – the fox”, here. 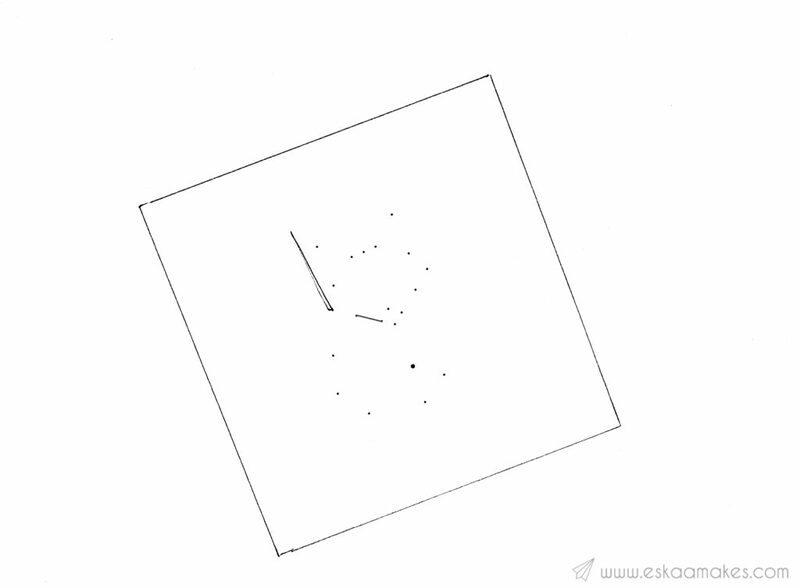 Print it and colour it in for some relaxation or just fun. A fox again. 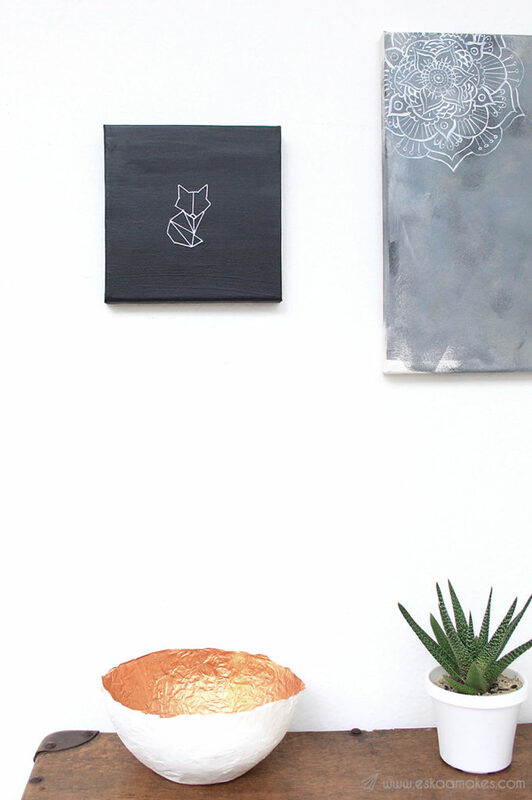 I guess the fox has found his entrance to the art, print and design scene quite a while ago, maybe is even slowly vanishing again. My personal reason, though, for choosing a fox is that I had a favourite soft toy that was… a fox. It was a birthday present from my Dad. He hid it in our house (I still remember where) and it took a whole treasure hunt, with notes and riddles, to discover it. I will never forget that perfect way to get this little fox. 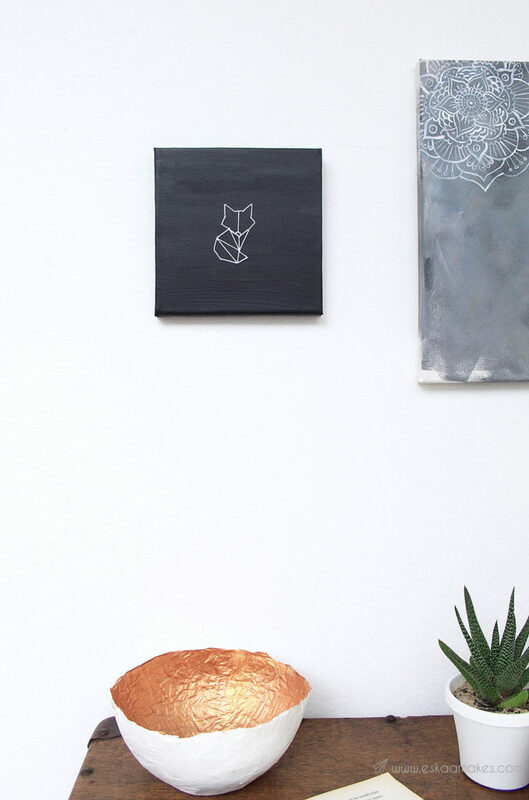 So, when I saw this little geometric fox tattoo on Pinterest I couldn’t help myself, but convert it into a stitched geometric fox on canvas. 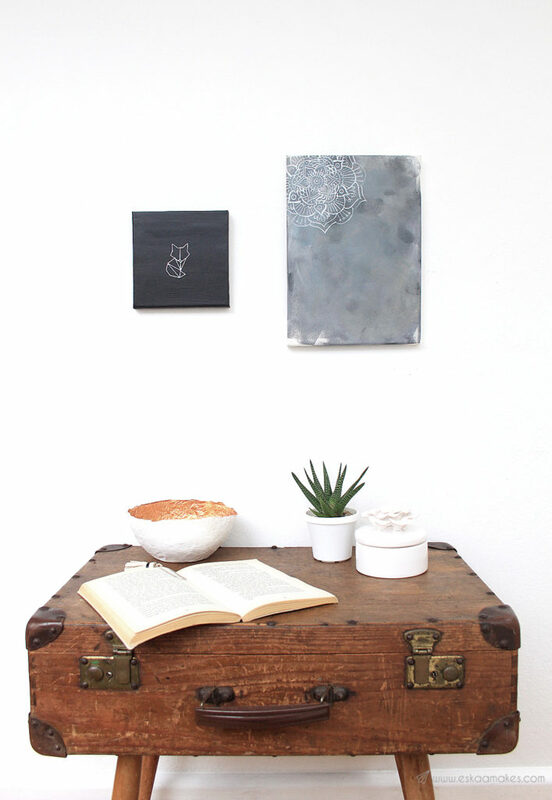 If you really have no space for this little fellow on your walls, it certainly made a perfect gift. 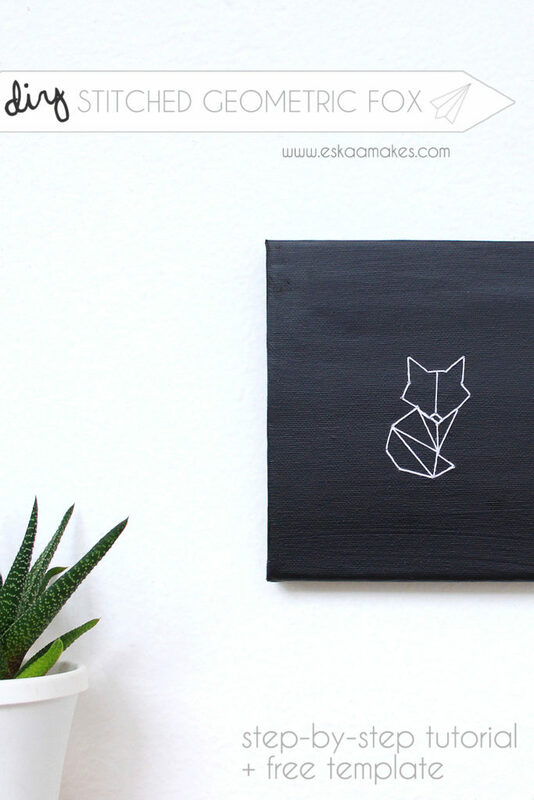 Just change the colour of the background and you’ll have the cutest baby shower gift, a little fox for the nursery. 1 – Paint the canvas. Leave it to dry. 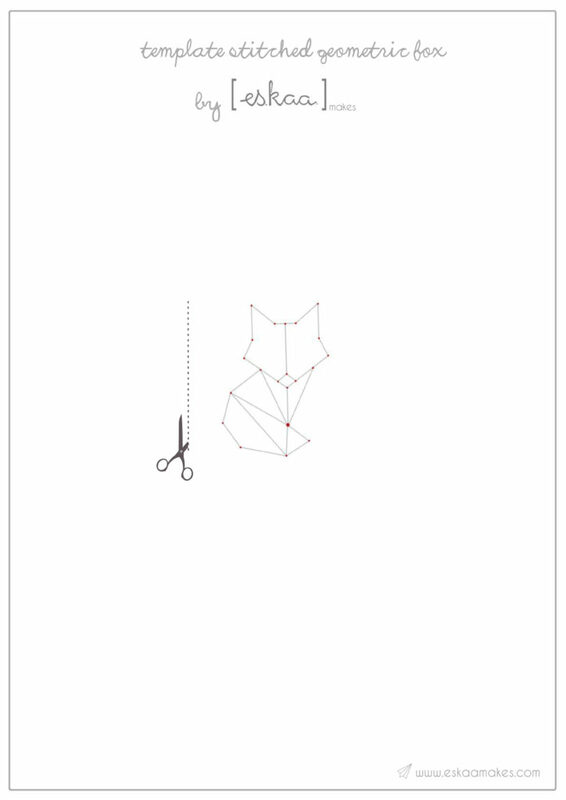 2 – Cut around my geometric fox template (you can download it here). 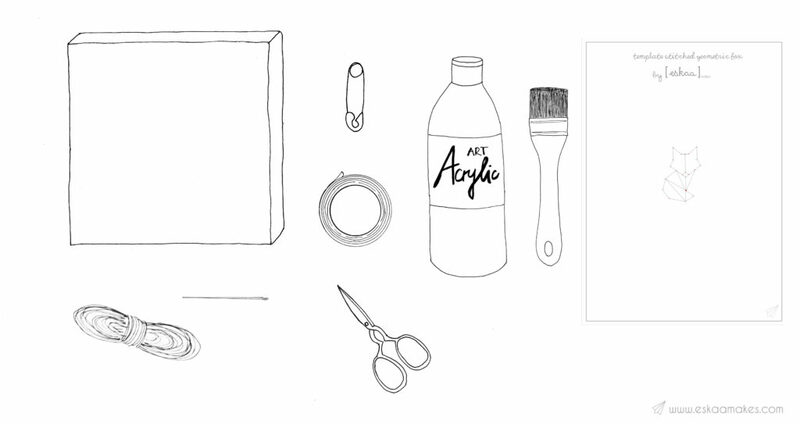 3 – Tape the template onto the canvas. 4 – Pierce through the template and the canvas at each red dot of the template, using the open safety pin or the thick needle. 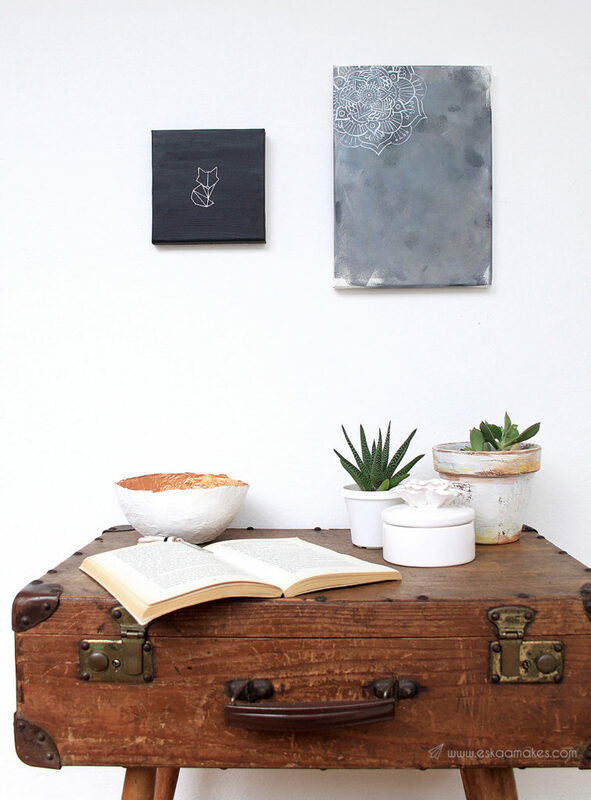 When finished, remove the template from the canvas. 5 – Thread a needle with embroidery thread and tie a knot at the end. 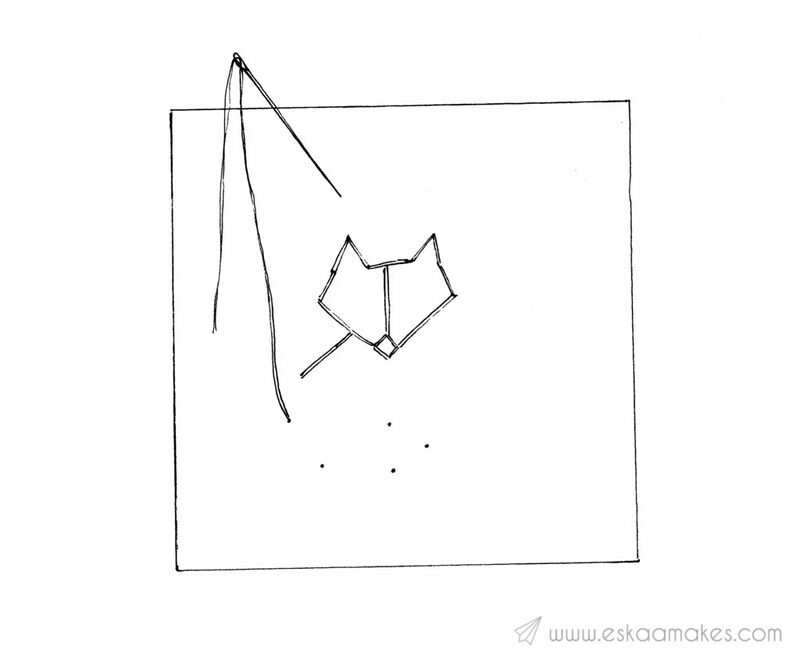 Use the holes you created in the canvas as a guide for sewing the lines of the fox. 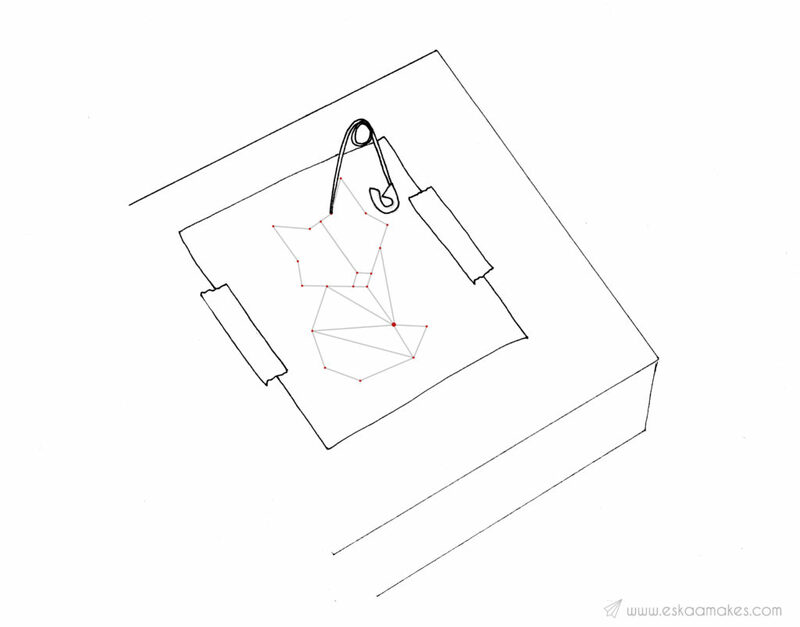 You can check with the template if your not sure where the thread should go. I started at the nose, then stitched the head and did the body last. 6 – Make sure the stitches at the front are correct, it doesn’t matter how it looks at the back. 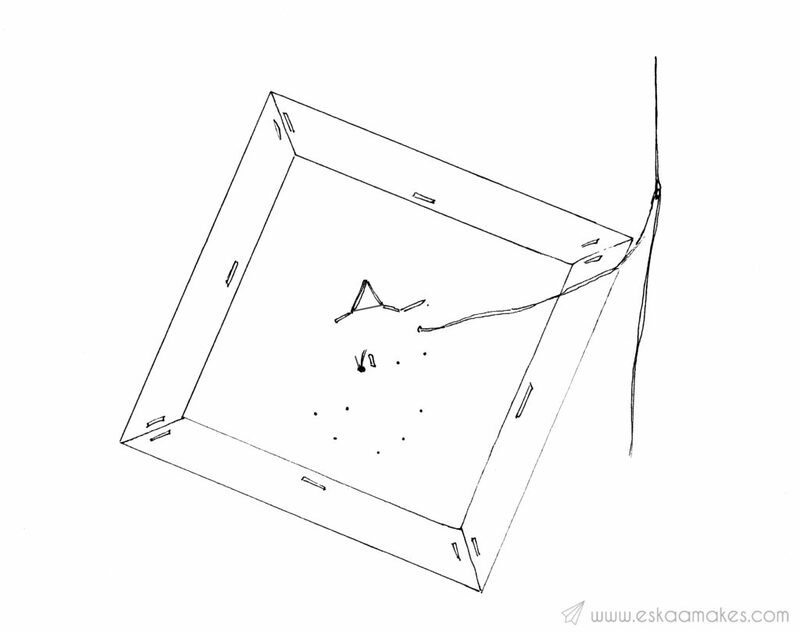 7 – When you’re finished, tie a knot at the back of the canvas to secure the thread. Done. 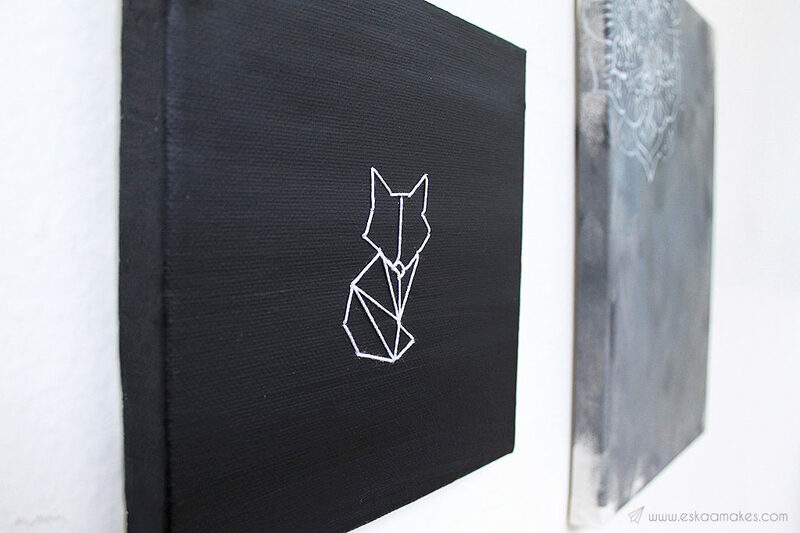 I must admit, every time I look at this canvas I think: “Isn’t that the cutest geometric fox in the world? And it’s mine!”. What thoughts do cross your mind?